for $779,000 with 4 bedrooms and 2 full baths, 2 half baths. 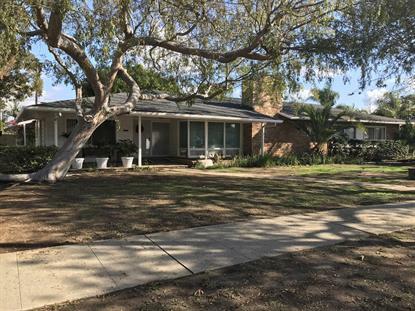 This 3,071 square foot home was built in 1951 on a lot size of 0.35 Acre(s). Proud of Ownership! Beautiful Modern Mid-Century Ranch Style House.This beautiful home is built on a lot over 15, 000 sf. it features 4 bedrooms 2 full bathrooms and 2 half baths. Huge Living Room with a built-in shelves, gas brick fireplace. Large windows facing the patio which is part of the charm of this home, Formal Dining Room, Eating area in the kitchen, Laundry area, Large Back Yard with a built stone BBQ, Solar Panels. Newer Roof. Too much to disclose, THIS IS A MUST SEE PROPERTY!! !